SHANA ELMSFORD was the second foster sister that the Bentons brought into their home. She's less confident than the other Holograms, but she not only plays drums, she also designs the girls' outfits. In fact, at one point, she leaves the band to work full-time as a designer, but eventually returns -- and then, switches to play bass guitar! SHANA is one of the most multi-talented HOLOGRAMS! 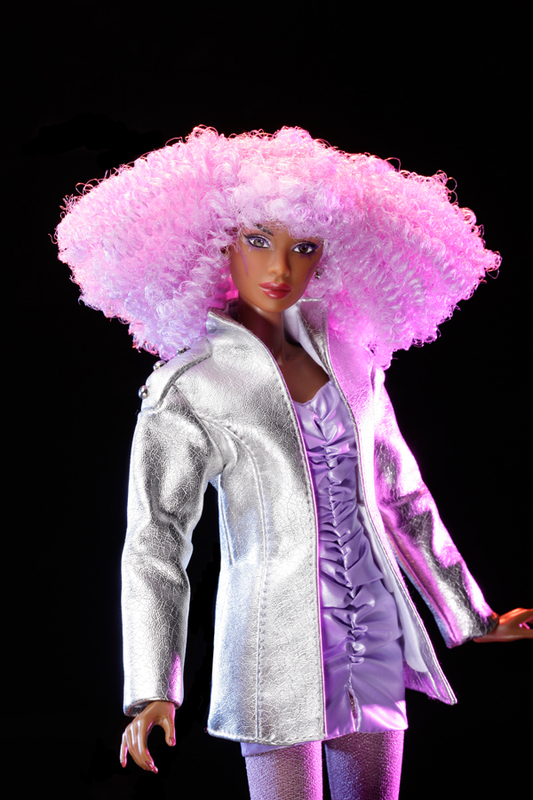 SHANA ELMSFORD is a fully articulated 12-inch vinyl doll with rooted hair and hand applied eyelashes. 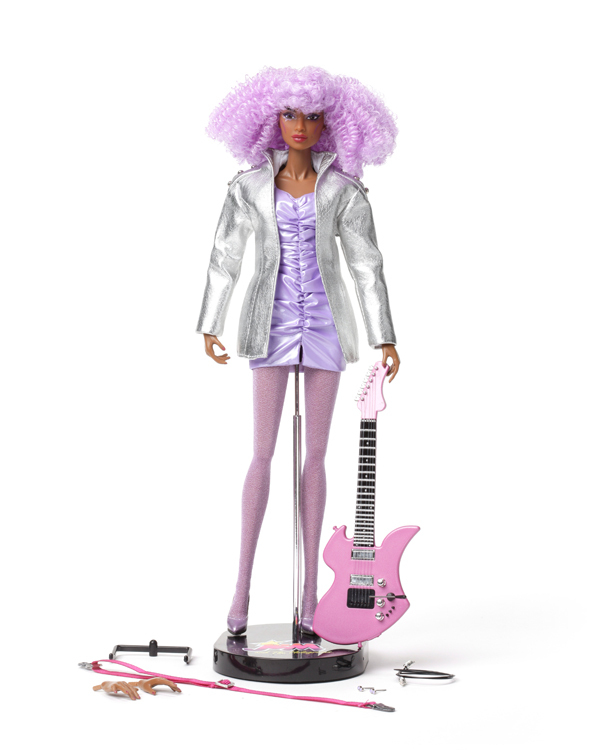 Always ready for a good jam session, SHANA ELMSFORD comes dressed in her truly outrageous stage costume and includes high-heeled pumps, her signature ultra-detailed bass guitar, complete with realistic miniature strings, whammy bar and plug-in amp cable! It also includes a doll stand and a certificate of authenticity. For adult collectors 14 and up only!